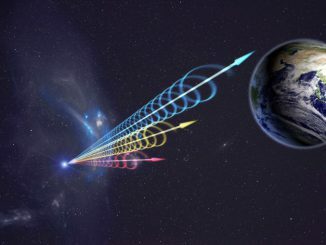 An artist’s impression of a millisecond pulsar and its companion. The pulsar (seen in blue with two radiation beams) is accreting material from its bloated red companion star and increasing its rotation rate. Astronomers have measured the orbital parameters of four millisecond pulsars in the globular cluster 47 Tucanae and modelled their possible formation and evolution paths. Illustration credit: ESO & Francesco Ferraro (Bologna Astronomical Observatory). 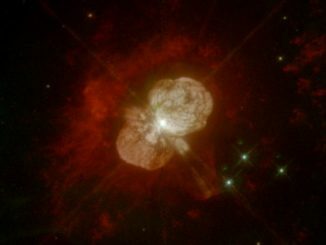 When a star with a mass of roughly ten solar masses finishes its life, it explodes as a supernova, leaving behind a neutron star as remnant “ash.” Neutron stars have masses of one-to-several suns but they are tiny in diameter, only tens of kilometres. They spin rapidly, and when they have associated magnetic fields, charged particles caught in them emit electromagnetic radiation in a lighthouse-like beam that can sweep past the Earth with great regularity every few seconds or less. These kinds of neutron stars are called pulsars, and they are dramatic, powerful probes of supernovae, their progenitor stars, and the properties of nuclear matter under the extreme conditions that exist in these stars. 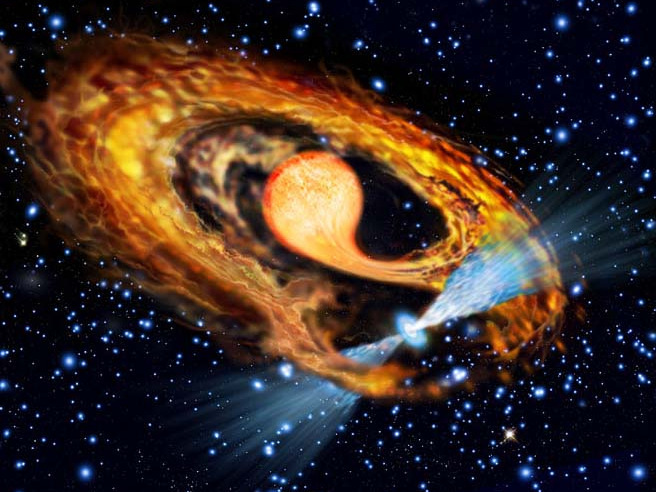 Millisecond pulsars are ones that spin particularly rapidly, hundreds of times per second. Astronomers have concluded that these objects must be increasing their rotation rates through the accretion of material from a nearby companion star. There are nearly 3,000 known millisecond pulsars. About five percent of them are found in globular clusters — gravitationally bound, roughly spherical ensembles of stars containing as many as a million stars, with sizes as small as only tens of light-years in diameter. Their crowded environments provide ideal conditions for forming binary stars, and nearly eighty percent of the pulsars in globular clusters are millisecond pulsars. The globular cluster 47 Tucanae (47 Tuc) has twenty-five of them. CfA astronomer Maureen van den Berg was part of a team of astronomers that studied four unusual millisecond binary pulsars in 47 Tuc whose orbital parameters were unknown. Orbits are key to understanding the origin and evolution of pulsars, their mass transfer and speed-up rates, and even the precise masses of the stars. 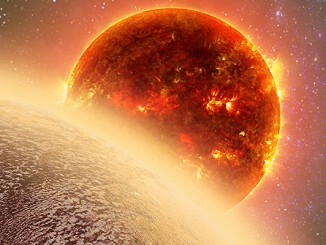 The scientists analysed data from 519 radio observations of 47 Tuc assembled over sixteen years. The most shortest period pulsar in the set has a period of only 0.15 days. The longest one is 10.9 days (by the way, both are known to nine decimal places) and has an orbit that is even more circular than the Earth’s — in fact, it is the most circular system ever found in a globular cluster. The astronomers estimate that this binary pulsar probably formed when a neutron star encountered a binary star, captured its companion from the binary, and then began accreting material from it to become a pulsar. (A second, less likely scenario is also possible in which the binary pair formed and also evolved together.) The scientists completed similar analyses for the other three objects. The results, the first in a series of papers on the millisecond pulsars in 47 Tuc, characterise for the first time four of its pulsars including one of its most unusual ones, and provide new insights into how these objects formed and the environmental conditions within a globular cluster.